“At the age of eighteen, the police considered me to be an element dangerous for the tranquillity of capitalism and the State”. Juana Buela was born on the 19th April 1889, the daughter of Galicians who had emigrated to Madrid. Her father died when she was four years old. Her mother was a seamstress. She emigrated from Spain to Argentina with her brother Ciriaco at the age of fifteen on 24th July 1900 and settled in Buenos Aires. At the age of 15 she joined the May Day demonstrations of 1904, her first participation in the workers movement. She became a leading light among the women workers of the Refineria Argentina, the huge sugar refinery of Rosario and was their delegate at the Congress of the anarchist workers organisation Federacion Obrera Regional Argentina –FORA– in the same year. At this conference the final aim of anarchist communism was adopted by the FORA. It was in the FORA libraries that Juana educated herself, yet another example of the autodidacticism that has characterised the anarchist movement. In 1907, she organised the Centro Femenino Anarquista (Women’s Anarchist Centre), with Virginia Bolten, Teresa Caporaletti, Marta Newelstein and Maria Collazo, and others. This represented the phenomenon of the development of a whole layer of anarchist women who were speakers and organisers in Argentina; a first wave with Bolten and a second generation with Juana and others. Juana took part in the tenants strike in Buenos Aires and with Maria Collazo spoke during the massive demonstration protesting against rent rises and evictions. Rents had tripled in real terms since 1870. One hundred and twenty thousand people were involved in this tenants movement, which was crushed by the police and military. She was deported to Spain under the law of residency which was also used to remove Bolten and Collazo. There, after a brief period in Madrid, she moved to Barcelona where she made the acquaintance of leading anarchist militants like Teresa Claramunt, Anselmo Lorenzo and Leopoldo Bonafulla and took part in the campaigns to free Francisco Ferrer. As a result of this she had to move to Marseilles and then Switzerland. On her return, because she was banned from Argentina, she settled in Montevideo, Uruguay, and together with Virginia Bolten and Maria Collazo, led an intensive propaganda campaign, setting up the paper La Nueva Senda (The New Path). She spoke at a rally protesting at the shooting of the Spanish libertarian educationalist Francisco Ferrer. As a result of this she suffered new persecutions. She escaped a police raid disguised in men’s clothing. She returned in secret to Argentina-disguised as a widow with her face concealed by a black veil- and participated in a general strike organised by the FORA. In this period she started using the surname Rouco to dodge the authorities. She was arrested and extradited to Uruguay where she was imprisoned for a year. In 1914 she decided to move to Paris secretly, and when she was discovered on the boat there was disembarked in Brazil. She settled in Rio de Janeiro for three years where she took part in anarchist activity and where Juan Castiñeira became her partner. She once again returned to Argentina, and took part in the events of the Semana Tragica (Tragic Week). 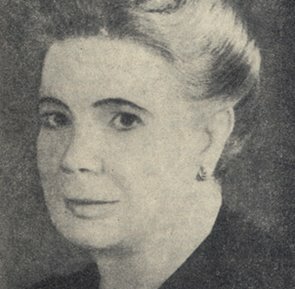 Along with her partner Jose Cardelle she undertook a speaking tour of the towns of the interior, building up her reputation as a speaker, writer and champion of women’s liberation. In 1921 she founded the Centro de Estudios Sociales Femeninos (The Centre of Women’s Social Studies) in Necochea and set up the feminist paper Nuestra Tribuna (Our Tribune) subtitled Ideas, Art, Criticism and Literature. This was an international anarchist paper published between 1922 and 1923 which attracted much criticism and controversy in anarchist circles over its outspoken advocacy of women’s liberation. The publication also faced financial difficulties and the refusal of its printers to continue printing as well as threats from the police. The last issue appeared in November 1923. She was forced to leave Buenos Aires and settled in the town of Tandil in 1924. In 1928 she took part in the Third International Women’s Congress. The coup of General Uriburu in 1930 caused her to cease activity. The Spanish Civil war re-galvanised her and she organised solidarity campaigns between 1936 and 1939. In the 1940s the rise of the Peronist movement which she had agitated against once again forced her into inactivity. In the 1950s she joined the Federacion Libertaria Argentina (FLA). She contributed articles to the eponymous paper of the exiled Spanish anarchist women’s organisation Mujeres Libres. In 1964 she published her autobiography Historia de un ideal vivido por una mujer . She died in October 31st 1969 at Buenos Aires at the age of 80. Well done Battlescarred, another super post. I admire your capacity to bring these biographies into the light of day and I am positive I am not the only one to find them informative. Yeah but I posted this several years ago-successfully- so it should already be on libcom. I'm confused!! yeah, you posted this in 2009 but it was just updated by a user who added a PDF version of this article so that bumped it to the top of "recent posts"